Contrary to popular belief, it's not only oily skin that breaks out. Dry skin is also prone to blemishes, flaking, itching and redness. Blemishes occur when the pores are blocked with debris. Sometimes that means overactive oil glands, but it can also mean dirt and dead skin from overly dry skin. Maintaining the skin's natural moisture helps keep the face glowing and blemish free. There are commercial chemical preparations available to help do just that, but you can also check out the natural food section of your supermarket or even your own pantry to find solutions for dry skin and breakouts. 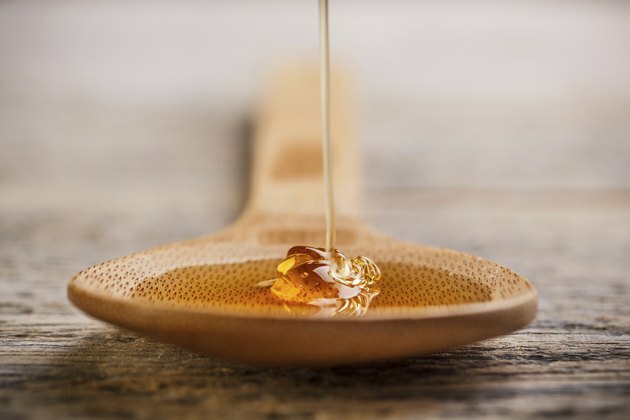 Honey is a natural antibacterial, according to an article in the Journal of the Royal Society of Medicine, and will clean out the pores and slough off dry skin, which heals blemishes. 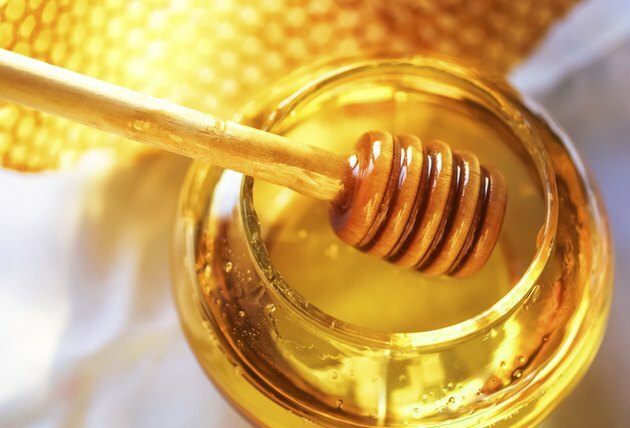 Honey can be applied directly to blemishes for about 15 minutes and then rinsed off, or it can be mixed in with other ingredients and used as a face mask. Raw honey is best, but if that's not available, organic honey is another option. 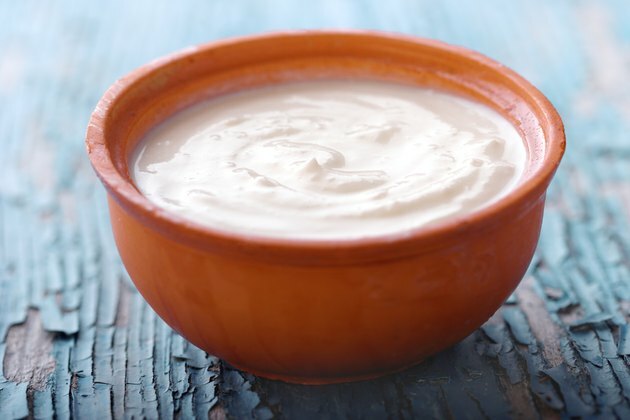 Yogurt contains lactic acid and acts as a mild exfoliant on dry skin, according to an article at Natural-healing-guide.com. Full-fat yogurt that contains live cultures nourishes the skin and sloughs off dead scales. Slather on a thick layer and allow it to dry for about 15 minutes before rinsing with warm water. Enhance the effects of the yogurt by adding a handful of pulverized oatmeal (whir it in a blender or a food processor) and gently massaging the face as you apply the mask. Petroleum jelly is effective on dry skin because it locks in moisture and creates a barrier to debris. Add a thin layer to particularly dry areas of your skin after you've cleansed your face before bed. Leave it on overnight, and wash your face as usual in the morning. If your dry skin extends to your feet and hands, apply a thick layer of the jelly and then put on socks or gloves to get the best result. Preventing dry skin will also prevent the associated breakouts. Healthcare professionals in "The Doctors Book of Home Remedies" suggest that less is more when cleansing the skin. Wash your face daily and moisturize, but use cool water instead of hot, and don't scrub the skin. Gently massage your face and pat it dry, leaving some dampness on the skin as you apply a moisturizer or face mask. Make sure the makeup you use doesn't clog the pores, and wash it off as soon possible. In addition, if you notice breakouts or extra dry skin after beginning with a new type or brand of makeup, discontinue use to see if that helps your skin heal. Which Type of Yogurt Is Good for a Face Mask?